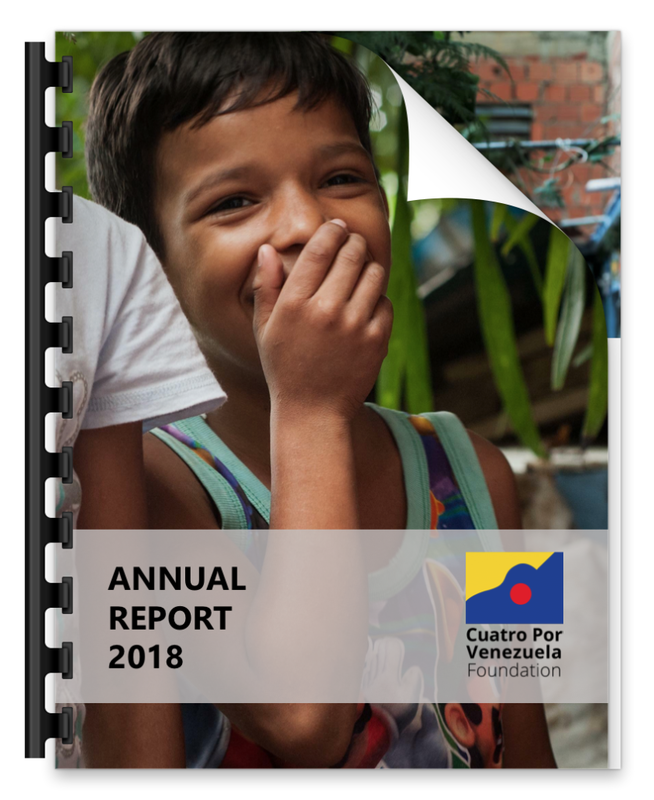 We invite you to read our Annual Report for a full description of our organization’s activities and impact. Over 63,000 lbs of life-saving supplies have been shipped to Venezuela thanks to the efforts and donations of people like you. We couldn’t stand “con los brazos cruzados” – with our arms crossed – while seeing so many people in need. We set out to do something big and we did it! More than 130 hospitals and institutions assisted! Distrito Capital, Estado Apure, Estado Anzoategui, Estado Aragua, Estado Barinas, Estado Bolívar , Estado Carabobo, Estado Falcón, Estado Guárico, Estado Lara, Estado Merida, Estado Miranda, Estado Monagas , Estado Nueva Esparta, Estado Portuguesa , Edo. Vargas, Estado Zulia. Our food programs launched officially in May 2017. We focus on fighting against hunger and malnutrition, particularly for children and the elderly. We have sent enough food for 120,000 meals. We have provided staple food supplies to orphanages, nursing homes and to organizations that cook for the homeless. We have partnered with rural schools to ensure at least one meal a day for every child during school days and on weekends in those communities. For $100, we can provide lunch for one child for an entire school year. Lastly, we provide formula to hospitalized children in hospitals nationwide. Each $100 provides lunch for one child for an entire school year. Other programs include delivering school supplies and educational material. Decrease the resurgence of diseases through vaccination and prevention systems. to meet the challenges that face us in the year ahead.